the current frames are not adequate for actual autocockers. i understand the "saying" versus "buying" numbers will be much different, but i think a "preorder would compensate for that. Your a smart guy, I know you knew that. I realize the lack of a 3way actuator on the regular CCM frames, but there are lots of other sliders out there to choose from. I definetly understand why they are staying away from the semi autos, I am glad they are cause they bring the pump corwd so much great stuff. A pre order would be nice, I would grab one, but won't be sad if it never happens. I will just keep my eyes peeled for another one of the original 86 sliders, don't happen to have any in your big box of parts do ya? der cockermeister - there is a clear anod 86 slider for sale in the classifieds right now. Really though guys, its a null point because they've been pretty clear that its not gonna happen. clear this up for me guys, im a little confused. is the ics system only available for ccm guns,thats why it will come with a new backblock without the screw to hold the ics rod? or will they have a different kit that comes with the screw to install on other cockers. From what I know. 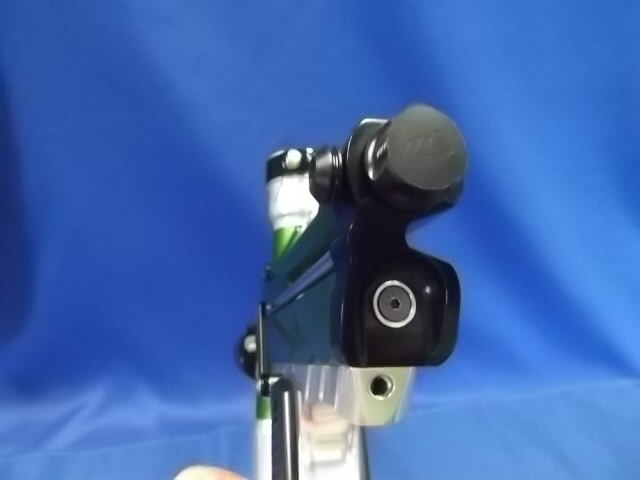 You should be able to install it on any autococker that uses a cocking rod and backblock. I believe it will come with a new hammer and backblock as far as bare bones go. Maybe a new spring and IVG depending on what CCM is going to do. It will come with hammer,spring,ivg, and back block.if we sell it with a S5 back block for "all" other A/C's we know it will work. If we sold it with out a back block I think we would have a lot of issues. The cocking rod hole and the bolt hole have to be held to a close spacing tolerance so there is not a binding issue. Would we mod other makers back blocks? I don't know if we would want to get into that right away but I wouldn't say no just yet. Let's see how well these work first. Any chance this could fit, or be modified to fit, a midgeted autococker? I've got my S5 body I picked up from you two years back that I'd like to make this addition to. I get not modding other cocker back blocks but I've got a lime green J2L and you probably won't be selling every color back block so could we send in our ccm back block to have it fitted? Also is it true that you won't be doing the lime green anymore? A long time ago I met a Man I called my friend. Why now, many years later, can't I remember his face? Has He left, or have I just chose not to look? How much will these be?